Los Angeles, California, June 6, 2011 -Sony Computer Entertainment America LLC. (SCEA) today announced at its annual press conference at the E3 Media & Business Summit in Los Angeles, Calif., a stunning line-up of PlayStation® products, services and exclusive content that will change the way consumers experience their favorite games and entertainment at home and on-the-go. In March 2005, the PSP® (PlayStation®Portable) system defined new standards in portable entertainment and provided game enthusiasts worldwide with a new way to experience games outside of their living room. The PSP system broke through traditional boundaries then and has gone on to sell more than 70 million units since its launch. In January, Sony Computer Entertainment Inc. (SCE) announced a new portable device for a new generation of gamers --- the next generation portable entertainment system (codename: NGP). Today, SCE announced PlayStation®Vita (PS Vita) as the official platform name for NGP. A Wi-Fi model will be available for 24,980 yen (including tax) in Japan, $249 MSRP in US and €249 in Europe, while a 3G/Wi-Fi model will be available for 29,980 yen (including tax) in Japan, $299 MSRP in US and €299 in Europe. PS Vita will launch in the global market starting at the end of 2011. Derived from the Latin word “Vita”, which means “Life” this next generation portable entertainment system enables a revolutionary combination of rich gaming and social connectivity within a real world context. The PS Vita system incorporates a beautiful 5-inch multi-touch organic light emitting diode (OLED) as the front display and a unique multi-touch pad on the rear. Together with the front touch screen and the rear touch pad, the PS Vita system offers new game play allowing users to interact directly with games in three dimension-like motion, through “touch, grab, trace, push and pull” finger motions. Also the PS Vita system features two analog sticks which enable a wider range of game genres to be brought into the portable experience. In addition to the PS Vita system pricing, SCEA also revealed today that AT&T, which powers the nation’s fastest mobile broadband network, will be the exclusive service provider in the United States for the PS Vita system. The speed and coverage of AT&T’s mobile broadband network will ensure that PS Vita system users will remain connected to content and each other on the go. On the content front, SCEA showcased a robust collection of software titles developed exclusively for the PS Vita system. Featured titles including UNCHARTED: Golden Abyss™, LittleBigPlanet™ and Ruin (working title), utilize the platform’s groundbreaking technology to make unprecedented immersive, interactive and social game play available on-the-go. UNCHARTED: Golden Abyss takes full advantage of PS Vita’s stunning OLED screen to deliver vibrant cinematic visuals and combines input from the front-touch screen and dual-analog sticks to create the most intuitive 3rd person shooter experience available on a portable system. Also making use of PS Vita’s unique feature set, LittleBigPlanet allows users to Play, Create and Share like never before with the system’s front touch screen and rear touch pad as well as its front and rear cameras. Finally, Ruin brings the ultimate social action RPG experience and also delivers interoperable compatibility for players to save their game on the PS Vita system and continue on at home using the PlayStation®3 (PS3™) system. Adding to this selection of innovative games, SCEA unveiled a collection of PS Vita titles that will be available including wipEout®, ModNation™ Racers, Reality Fighter (working title), Super Stardust™ Delta, Sound Shapes, Hot Shots Golf®, Hustle Kings™ and more. Additionally, conference attendees received a look at Capcom’s STREET FIGHTER® x TEKKEN® for the PS Vita system which will feature Cole MacGrath as a playable character from the popular PS3 franchise, inFAMOUS™. Currently in its fifth year, the PlayStation®3 (PS3™) system continues to experience tremendous momentum, recently surpassing 50 million units sold worldwide. To-date, more than 2,300 games have been made available for PS3 including 108 stereoscopic 3D titles and 184 PlayStation®Move titles, and that momentum continues into 2012. Expanding PS3 system’s industry-leading catalog of stereoscopic 3D games, SCEA presented a selection of new entries from fan-favorite series featuring full stereoscopic 3D support including UNCHARTED 3: Drake's Deception™, Resistance®3 and God of War®: Origins Collection. SCEA also announced the return of one of PlayStation’s most beloved franchises, Sly Cooper®: Thieves in Time™, which will treat players to an all-new adventure in stereoscopic 3D featuring classic characters, Sly, Murray and Bentley. In addition, SCEA introduced new titles utilizing the innovative PlayStation Move controller to deliver unique motion gaming experiences such as Everybody Dance™, Carnival Island (working title), and Medievil Moves: Deadmund's Quest™. In addition to an unprecedented line-up of first-party titles, third-party support for the PS3 system has never been stronger. Content shown at the conference includes the highly-anticipated first-person shooter BioShock Infinite from 2K and Irrational Games which will support the PlayStation Move motion controller, and will also include the original BioShock on the PS3 Blu-ray disc. Additional exclusive content that will only be found on the PS3 system was announced for titles including Saint’s Row: The Third from THQ, Electronic Arts’ SSX™, Need for Speed™ The Run, and Battlefield 3™. For Battlefield 3, the PS3 version promises to be bigger than any other as Electronic Arts will be using the extra storage capacity of the Blu-ray to add a second game to the disc, Battlefield 1943, one of the most popular games available on PlayStation®Network. 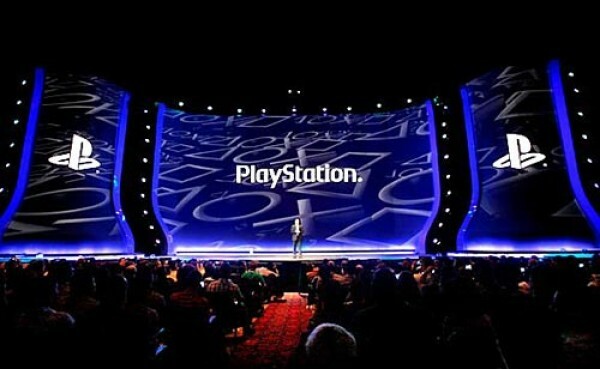 As a leader in 3D entertainment and gaming, SCEA kicked off the 2011 press conference at E3 on the world’s largest 3D screen – showcasing a breadth of first- and third-party titles coming this year in 3D that is unmatched. SCE today also announced the upcoming availability of the new PlayStation branded 3D Display. The 24-inch full HD LCD display will give PS3 users easy, affordable access to stereoscopic 3D entertainment. Available this fall, the 3D Display comes bundled with 3D Glasses, an HDMI cable and the highly anticipated Resistance 3 title from Insomniac Games for PlayStation®3 (PS3®) at an attractive recommended retail price (MSRP) of US$499.99. The 3D Glasses will also be sold separately, concurrently with the 3D Display launch for MSRP of US$69.99. Designed to deliver the ultimate gaming experience, the 3D Display comes equipped with a special two-player feature, which allows two players playing a multi-player game to see individual, unique, full-screen images of gameplay using the bundled 3D Glasses and supported software title. With more than 77 million accounts worldwide, PlayStation®Network continues to be one of the largest networked entertainment platforms in the world and is the premier destination for games, TV and movies, sports and music entertainment. Today, SCEA announced that coming this fall , BestBuy’s CinemaNow video service will be accessible to PS3 owners, providing consumers with access to more than 12,000 of their favorite TV episodes and movies for rental or purchase. Publisher support for PlayStation Network continues to remain strong as CCP introduced a new PlayStation Network exclusive title, Dust 514®, which will feature PlayStation Move support and also be made available for the PS Vita system. Another exciting game coming exclusively to the PS3 system and PlayStation Network in 2012 is Star Trek™ from Paramount Digital Entertainment. The game, which continues the adventure that director and producer J.J. Abrams envisioned with Star Trek™ (2009), boasts a story filled with action- packed combat and will be fully PlayStation Move enabled. Paramount Digital Entertainment will also offer an exclusive prequel to the game only on PlayStation Network. About Sony Computer Entertainment LLC. Sony Computer Entertainment America LLC. continues to redefine the entertainment lifestyle with its PlayStation® and PS one® game console, the PlayStation®2 computer entertainment system, the PSP® (PlayStation®Portable) handheld entertainment system, the ground-breaking PlayStation®3 (PS3™) computer entertainment system and its online and network services the PlayStation®Network and PlayStation®Store. Recognized as the undisputed industry leader, Sony Computer Entertainment America LLC. markets the PlayStation family of products and develops, publishes, markets and distributes software for the PS one, PlayStation 2, PSP and PS3 systems for the North American market. Based in Foster City, Calif., Sony Computer Entertainment America LLC. serves as headquarters for all North American operations.